After spending the past few days in Wisconsin, it was time for us to move on. 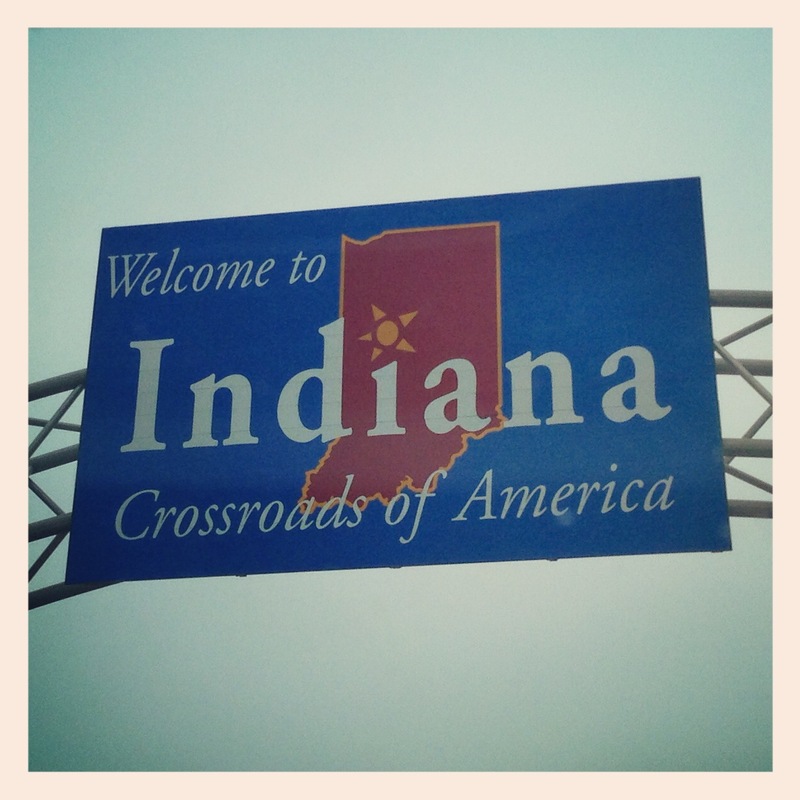 As we venture further southeast, we’ll be passing through Indiana again. We already drove through Indiana and spent a night in Indianapolis on our way to pick up our trailer in Michigan. However, we didn’t get a chance to see the downtown, which Justin was bummed about. Since our route is taking us back through Indiana, we decided to take advantage and spend a day there this time around to visit Indianapolis. To reach Indiana, we crossed into Illinois and drove back through Chicago. As we traveled through Chicago, we hit some major traffic. We also had to take several toll roads, which happened to be more expensive for a truck towing a travel trailer versus just a car. For example, one of the tolls was $2.80 for a car but $4.25 for a trailer! After having to take several toll roads, the fees started to add up, but luckily we had enough cash on us (they don’t accept credit cards come to find out). As much as we loved downtown Chicago when we visited, the traffic and toll roads (cost) reminded us why Chicago probably won’t be the best option for us. Plus, let’s not forget about the horrible winters there. We were finally able to get a good look at Indianapolis today. Our visit began at the Indianapolis Motor Speedway, home of the famous Indy 500 races. We’re not really into car racing, but it was still neat to see the track for one of the most celebrated motorsport events in the world. 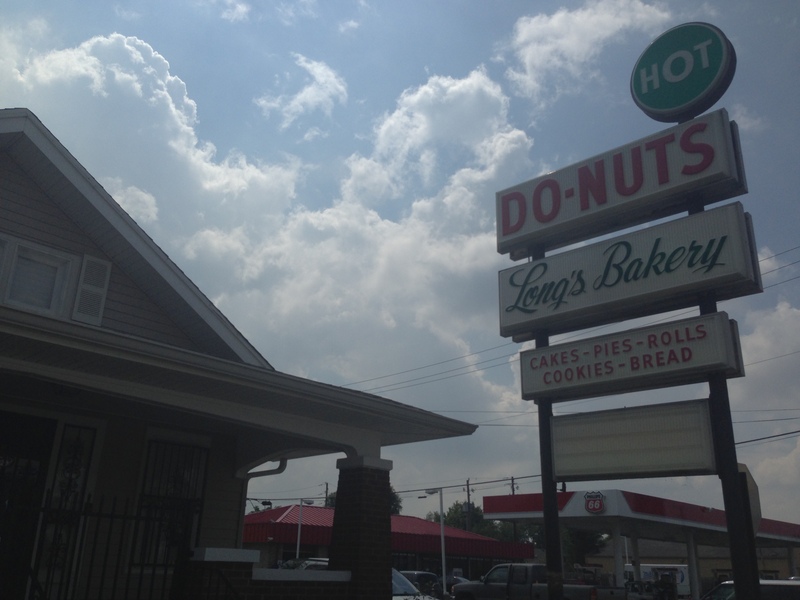 From the racetrack we headed to Long’s Bakery to try their donuts. 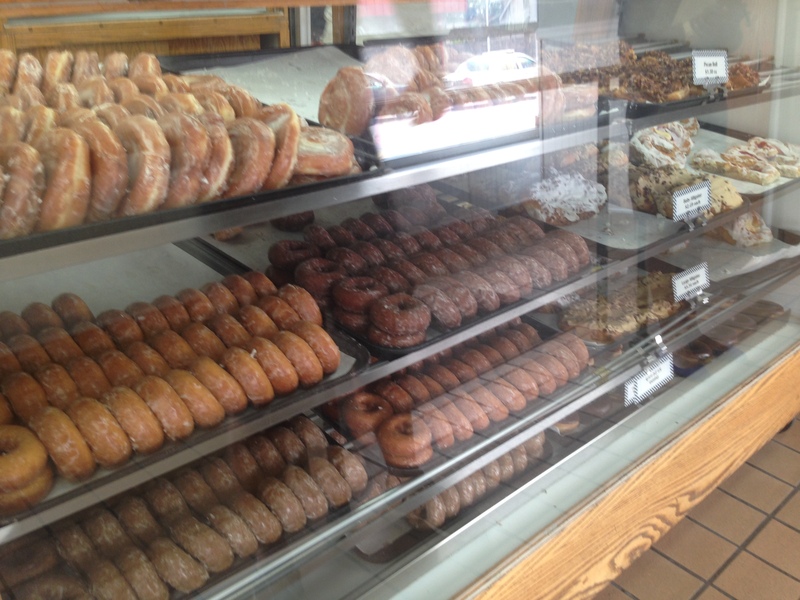 As a self-proclaimed donut connoisseur, I’m on the hunt for the best donut in the nation. Therefore, I had to try the donuts at Long’s Bakery when we saw that it’s currently the #1 restaurant in Indianapolis on Tripadvisor. However, we were hugely disappointed in the selection, size, taste and quality of the donuts. The employees were also extremely unfriendly and unhelpful. We were hoping the donuts would make up for the horrible customer service, but sadly that wasn’t the case. They were small and dry, and there was nothing special about them. If Long’s Bakery is supposedly the #1 restaurant in Indianapolis, what does that say about the other restaurants there? I’m sorry to say that the donuts left a bad taste in our mouths for Indianapolis (no pun intended). In case you’re curious about the best donut we’ve had so far on this trip, it was the blueberry cake donut at Tonalli’s Donuts & Cream in Portland. We didn’t want to let the bad experience with the bakery ruin Indianapolis for us, so we continued our tour by heading to the center of town. I’m afraid though that the downtown area wasn’t as eclectic as we were hoping it would be. It seemed to be fairly basic consisting primarily of banks, healthcare buildings and hotels. We did enjoy Monument Circle, but overall, Indianapolis isn’t what we’re looking for. Sorry, Indy! At least we were able to see more of you and rule you out for our next place to live. Since we’re seriously considering some locations in the South, we thought it would be a good idea to visit some of them in the summer to experience the humidity. Just as snow is a big concern of mine, Justin is worried about humidity. We decided to change our route in order to travel to some of the southern states earlier than we were originally planning on. This new plan will help us determine if we can handle the humidity (and the bugs!) everyone warns us about when it comes to the South. Take a look at our original route HERE, and compare it to the map of our new and improved updated route HERE to see how we changed up the plan. Leaving Indiana, our initial plan was to go to West Virginia next. 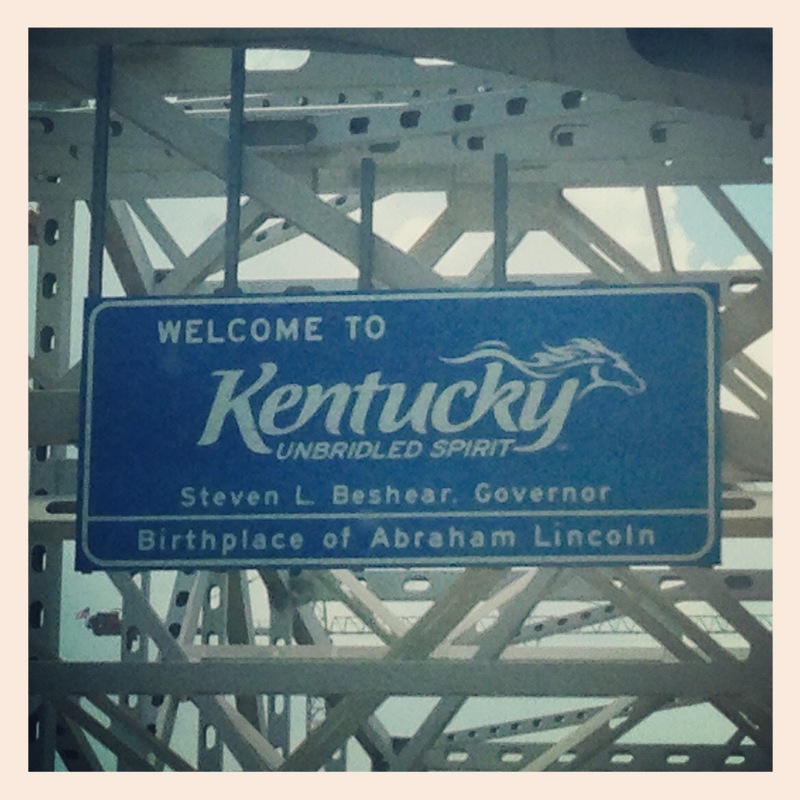 But since we switched things up and decided to head South sooner rather than later, we now went to Kentucky instead. On our way to our campground in Frankfort, KY, we passed over the Ohio River and drove through Louisville. Once we were out of Louisville, the freeway was lined with dense trees and gave an occasional peak through at vibrant green fields. So far, Kentucky has been quite scenic! We reached our campground and got set up by early afternoon, which gave us plenty of time to go exploring. Frankfort is a nice central location between Louisville and Lexington. Since we already had a glimpse of Louisville when we first reached Kentucky, we decided to venture into Lexington. I’m afraid that we were disappointed in Lexington though. It didn’t have a large downtown like we had hoped. And for some reason, the name “Lexington” seems somewhat fancy to me, but the city wasn’t as charming as I thought it would be. However, we did end up having dinner at a charming restaurant called Coles 735 Main. It actually ended up being one of the best meals we’ve had on this trip! We began by sharing a couple of appetizers. The stuffed Panko Fried Avocado was good, but the Weisenberger Grit Fries were outstanding with their crisp exterior yet rich, creamy center. Also, I’m not a huge ketchup fan, but the herb ketchup they served with the Grit Fries skyrocketed the intense savory flavor of the “fries”! Next for an entree, we split the Beef Shoulder Tender. The meat was cooked perfectly and seasoned deliciously. We thoroughly enjoyed every bite, hoping it wouldn’t be our last. Sadly though, we finished our plates. Not wanting our dining experience to end, we ordered a piece of the Key Lime Pie. 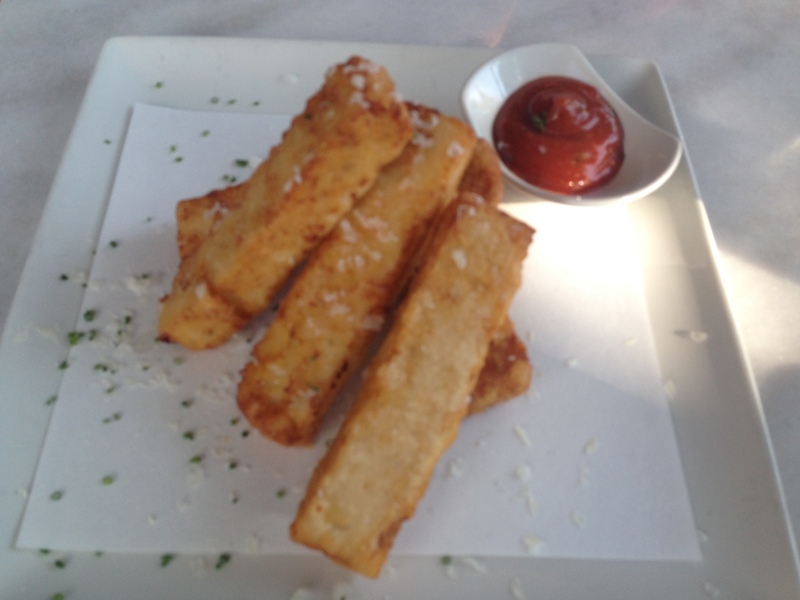 The surprisingly light, fluffy texture and delicately tangy lime flavor was the perfect finale to our meal. 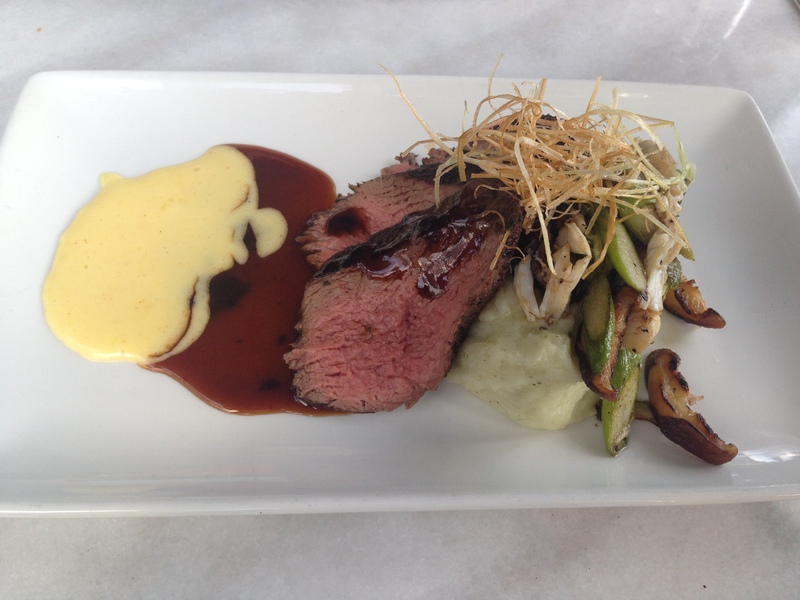 In addition to the fabulous food, the service was also impressive. Our water glasses never went empty (a huge pet peeve of mine for restaurants), and the waiter was happy to give us advice for our time in Lexington and Kentucky. When we told him we were staying in Frankfort, he showed us an alternate route to take back to our campground. 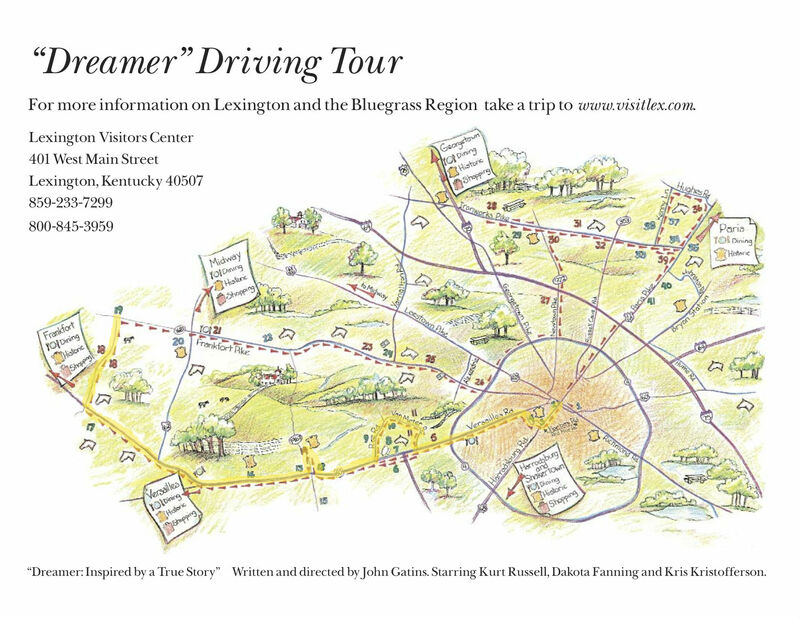 The serendipitous detour took us on the Kentucky Scenic Byway, also known as the Dreamer Driving Tour. It was an incredibly scenic drive through lush, green pastures bordered by white fences. There were numerous horses grazing in the distance, and the sublime scent of freshly cut grass permeated the air. As the sun set, it cast a surreal glow over the countryside, making for a glorious scene. This drive has been one of our favorite experiences during this trip so far. I highly recommend taking the Kentucky Scenic Byway on Versailles Road and Dreamer Driving Tour turn-outs between Lexington and Frankfort! Sounds like there were pluses and minuses to this part of the trip, and it sounds like the best part is when you get out of the “big” cities and into the country. Have fun in your next leg of your trip. This is Bruce from the Service Department of Walser Buick GMC in Bloomington, MN. We talked about my time living in CA while you were checking your truck in. As a doughnut connoisseur myself, I need to tell you to make a trip through Springfield, IL on your way home! There, you will find Mello-Cream Donuts, which IMO, are possibly the best in the Midwest. My mom is from there, so any time we visit family, that’s the first place we go and the last place we stop for “roadies”. Sadly, within about 100 miles, they are gone, but we have smiles on our faces until that happens! Hi Bruce! It’s good to hear from you. 🙂 Thanks for checking out our blog, and thanks for the tip about the donuts. If we make it back through Illinois, we’ll definitely have to try some!